Here is a listing of all “known to me” Homeschool Days that happen around Philadelphia. I thought it would be nice to have them in one location as opposed to searching through the blog. Please email me if you have been to some other homeschool days that are not listed. OTHER: Pre-Registration required 2 weeks in advance! FOR MORE INFO: Click on this site. WHEN: usually a week in each month! FOR MORE INFO: Click here to check out their website. WHAT: The Museum Day Live! ticket provides free admission for two people. In the spirit of the Smithsonian Museums, which offer free admission every day, Museum Day Live! is an annual event hosted by Smithsonian magazine in which participating museums across the country open their doors to anyone presenting a Museum Day Live! ticket… for free. WHERE: multiple museums around the country; 5-10 in or near Philly! WHAT: Combining demonstrations and hands-on experiments with educational activities in the Museum’s gallery of helicopters makes for an exciting and memorable visit. We also encourage setting aside “free time” so that visitors can explore the aircraft, climb in the cockpits and try their hands at the controls. Pre-visit materials are available for many of the programs to help prepare students for their visit and promote a more enjoyable experience. The Museum’s programs support the Pennsylvania Education Standards for Science and Technology, History and Arts and Humanities. WHAT: Christmas Time: Come enjoy exclusive access to this season’s exhibitions, World Nativities and Christmas in Pennsylvania. Participate in exhibition-based quests and win a prize, learn more about the art and history of the crèche through a special documentary viewing, engage in festive hands-on activities, and more! Glassblowing: Come enjoy a live glassblowing demonstration by master craftsman Jason Klein of Historical Glassworks. COST: $5 per person; children 3 and under free. FOR MORE INFO: Visit HERE. Or contact Christine McDonald at 267.502.2995 or christine.mcdonald@glencairnmuseum.org for more information. WHAT: Experience Hannah Penn’s world on Homeschool day this year! Activities for Homeschool families of all ages will explore how this extraordinary woman significantly impacted her family, Pennsbury Manor, and the colony of Pennsylvania. COST: Cost is $9 per person ages 4+, one (1) Adult free per family. Registration is required. FOR MORE INFO: Click HERE Please contact Pennsbury Manor’s Educators at 215-946-0400 for program details. WHAT: Archaeology Festival: Join us for a day of archaeology fun and discover the rich archaeological heritage that lies beneath our feet! This annual event is held in partnership with the Delaware County Planning Department. WHAT: America’s First Urban Refuge was established in 1972 for the purpose of preserving, restoring, and developing the natural area known as Tinicum Marsh and promoting environmental education. Great (free!) year round programs and homeschool days! WHAT: Hersheypark invites Home School families to enjoy a special admission discount during the last weekend of April and the month of May! Visit on one of our scheduled education days and participate in the fun and learning with other school groups. Or, download our Math, Science, Physics, or Wellness Manual and choose a day to learn on your own! WHAT: To innovatively introduce or reinforce mathematical and scientific concepts to students who are 6-13 years old. Students will listen to brief instruction, be engaged in group and individual activities geared towards meaningful application, create various hands-on manipulative pieces that they will be able to take home, and may complete occasional assessments and homework assignments. WHAT: Homeschool Outdoor Education Days are an exciting opportunity for students 6 to 17 to explore God’s creation through hands-on, experiential learning in the outdoors. Lots of fun learning about God in the outdoors! WHAT: Looking for a solution to cabin fever over the winter season? Winter Dayzwill be held every Tuesday & Wednesday mid-January through mid-February. Program times are 1-3 pm and are designed for ages 4 and up. Stories, crafts, games to get up and moving and a snack are provided during the 4-7 year olds time. Ages 8 and up: Each day will include an hour of gym/team sports time and an hour of craft or project time. Students will be divided into groups based on age so that they are playing sports with those of similar age and ability. WHAT: Homeschool families are invited to join us for our Homeschool Days! Come and enjoy the farm’s educational opportunities including butter making demonstrations, Farm Tour Wagon ride and problem solving in the maze. WHAT: Bring your kids to The Hershey Story and discover all things Hershey — the man, his business, the town, and the chocolate — in an active, hands-on way! Our unique programs reach far beyond history to include economics, geography, science, math and reading. AGES: Recommended for ages 4 and up. Children 2 and under are free. WHAT: Enjoy learning about the food science and quality assurance behind making Turkey Hill Ice Cream and Iced Tea in a delicious blend of science and fun! During this one-day event, you will learn how to make ice cream from the raw ingredients to the finished product; to evaluate product quality through ice cream cutting and sampling; about pH and its importance in tea and milk quality and much, much more! WHAT: During Homeschool Days, students and their families can enjoy hands-on activities and revolutionary experiences designed to make colonial dramas come to life in a way that is educational and interactive. Plus, visits can be tailored to make your trip unforgettable with on-site lodging, 18th-century tavern dining, entertainment, and much more! Inspire the next generation of dreamers with a Colonial Williamsburg experience. Create your own itinerary anytime throughout the year, or join in on one of our special homeschooler weekends. Make sure to ask for homeschool discounts if you do not go during one of the weeks. AGES: 2 and up must have a ticket; grandparents can get the homeschool discount! COST: Highly Recommended to go during these weeks!! Super Discount! Multi-day ($20 adult; $13.50 youth) and Single-day ($10 adults; $8 youth) tickets available. Discount hotel rooms also available thru their site. WHAT: *Admission to Jamestown Settlement throughout Homeschool Program Days, including the introductory film 1607: A Nation Takes Root, permanent exhibition galleries, including “Pocahontas Imagined” special exhibition, replica 1607 ships, re-created Powhatan Indian village, and 1610-1614 colonial fort, and more. *Admission to the American Revolution Museum at Yorktown throughout Homeschool Program Days, including Revolution-themed films, permanent exhibition galleries and “AfterWARd: The Revolutionary Veterans Who Built America” special exhibition, re-created Continental Army encampment and 18th-century Revolution-era farm, along with classroom and special activities. COST: $12, ages 3 and under are FREE; if not available during Homeschool Days make sure to ask for Homeschool daily rates! WHAT: Don’t have a laboratory in your basement or an Oceanic Research Vessel in your backyard? Don’t worry, here at the Chincoteague Bay Field Station we understand the challenges parents face when they teach science in the home. Chincoteague Bay Field Station is your resource for bridging the gap between marine science curriculum and student understanding. Our homeschool workshops are tailored for the budding marine biologist in your home, providing hands-on observation of marine environments and organisms. All programs provide time to socialize with other young aspiring scientists. FOR MORE INFO: Click HERE; check out their Family Programs also! WHAT: Join us once a month for a 2 hour interactive lesson or throughout the year for longer specialized Family Field Trips and Student Workshops! The choice is yours! Each monthly lesson includes classroom instruction, outdoor activities, scientific experiments and exploration, and even homework. We use hands-on methods to reinforce students’ abilities in not only science, but also math, language arts, and social studies. Traveling from a further distance? Consider planning “A Day at The Wetlands Institute” – pack snacks or a picnic lunch and use the afternoon time after the homeschool lesson has been conducted with your child(ren) to explore the exhibits and the outdoor trails. The marsh is an every changing ecosystem and the newly completed elevated walkway and dock provide countless opportunities for self-exploration and learning! *Some other further away destinations offer homeschool days. 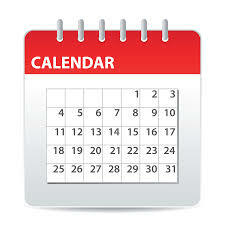 If you are traveling, don’t forget to look into calendars or ask for a discount for homeschooling. Many places will honor discounts for other days! Monticello: in Virginia. Home Educator’s Day! held the 4th Wednesday every September. Creation Studies Institute: in Ft. Lauderdale, FL. Click HERE for more information. Dollywood: in Tennessee. Click HERE for more information. Stone Mountain Park: in Georgia. CLick HERE for more information. Wilderness at the Smokies: at the foot of the Smokie Mountains, TN. Click HERE for more information. THE HOME SCHOOL MOM has an extensive list of Washington D.C. sites. Not specifically homeschool day related, but a long list! Here’s The Frugal Homeschooling Mom guide to D.C. for homeschoolers. Do you know of some other annual homeschool days that you would share with us? Comment below and let us know your experience!